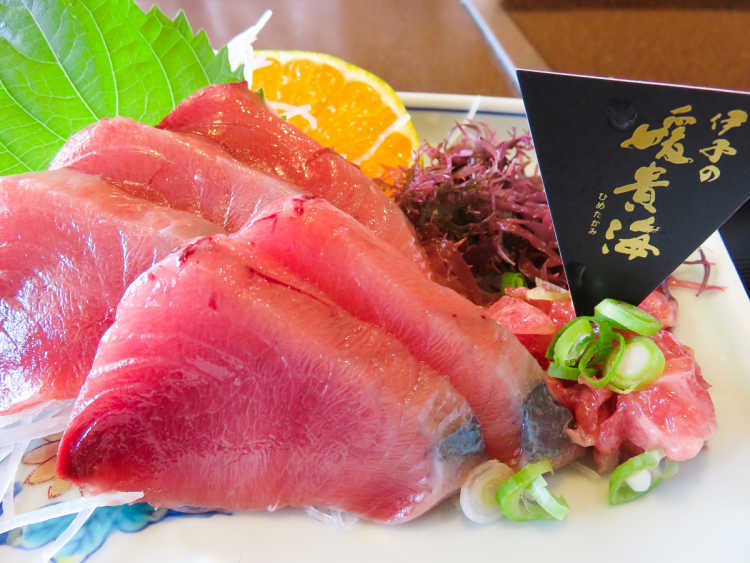 Suma-gatsuo is Japanese name for eastern little tuna, which is said to be rare and high-grade fish. Ehime breeds and sells it as the regional-brand product. It has a melty texture and a little sweetness. You will find the new taste that differs from tuna or bonito.